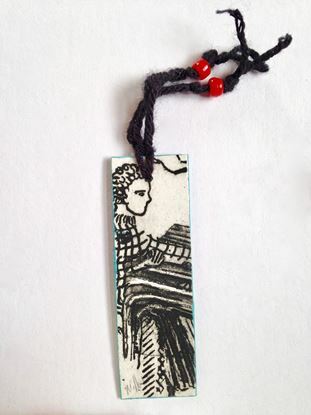 Black and white etching on bookmark. 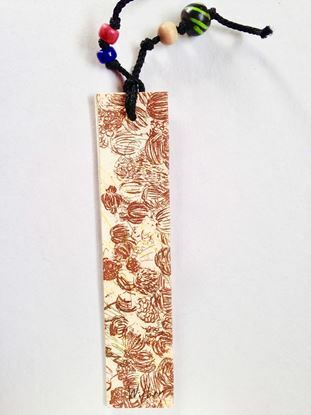 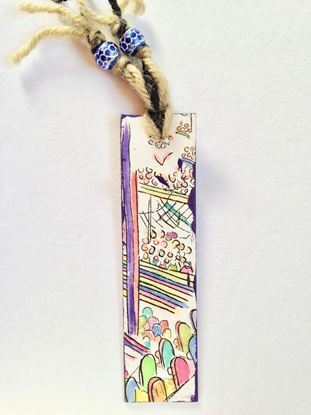 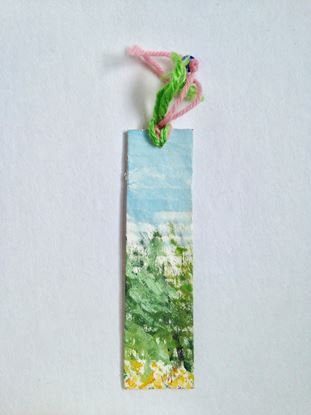 Handmade bookmark made from etching. 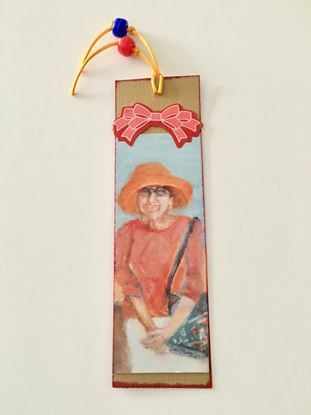 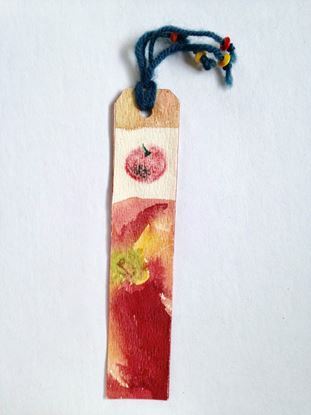 Bookmark with etchings with lady in red hat.